“Mambo, Magsaysay” was the campaign jingle of President Ramon Magsaysay and many believed it was instrumental for his landslide victory against the incumbent President Elpidio Quirino in the November 1953 national elections. Together with the popular jingle, he introduced the “barrio to barrio” style of campaigning which endeared him to all, especially the masses. His slogan was “Magsaysay is my guy” which capitalized on his charismatic appeal. The catchy campaign music was composed by Raul Manglapus, a noted political figure. Its popularity went beyond Magsaysay’s political career, as it was also considered an anthem for democracy. “On February 24, 1986, Radyo Bandido’s lone announcer June Keithley resurrected “Mambo Magsaysay” to shore up the morale of those facing tanks in the streets” (Caparas 2004). The song “Mambo, Mambo” from the 1986 album “Handog ng Pilipino sa Mundo” celebrating People Power, also made use of the “Mambo, Magsaysay” tune. Prior to Magsaysay, the first politician to use a campaign jingle was former Manila city mayor Arsenio H. Lacson. It was believed that his campaign jingle “Lacson Mambo,” based on musical trends abroad, contributed to his victories in 1951, 1955, and 1959 (Caparas 2004). Since then, campaign jingles became an inevitable component in the Philippine elections scene. As with any other music, the catchier the tune, the more likely it is to linger in people’s consciousness. We can just imagine the impact of campaign music lingering in each voter’s memory as s/he goes to the polling booths. Abueva, J.V. (2012, March 7). 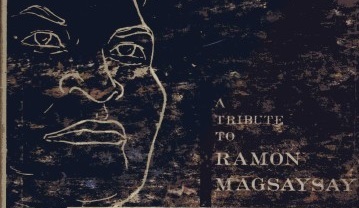 Remembering Ramon “RM” Magsaysay. Inquirer.net. Retrieved May 7, 2013 from http://www.inquirer.net. Caparas, G.S. (2004, May 9). Songs in the key of politics. Pcij.org. Retrieved May 7, 2013 from http://pcij.org. The presidents of the postwar republic, 1946-1965. (1999). Philippine presidents: 100 years. Quezon City: New Day Pub.